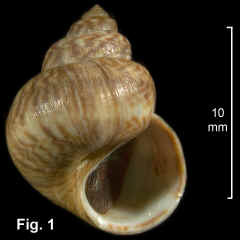 Description: Shell solid, height slightly greater than width, whorls strongly convex. Aperture semicircular, white internally; outer lip simple. Umbilicus deep, with inner lip of aperture partly reflected over it. 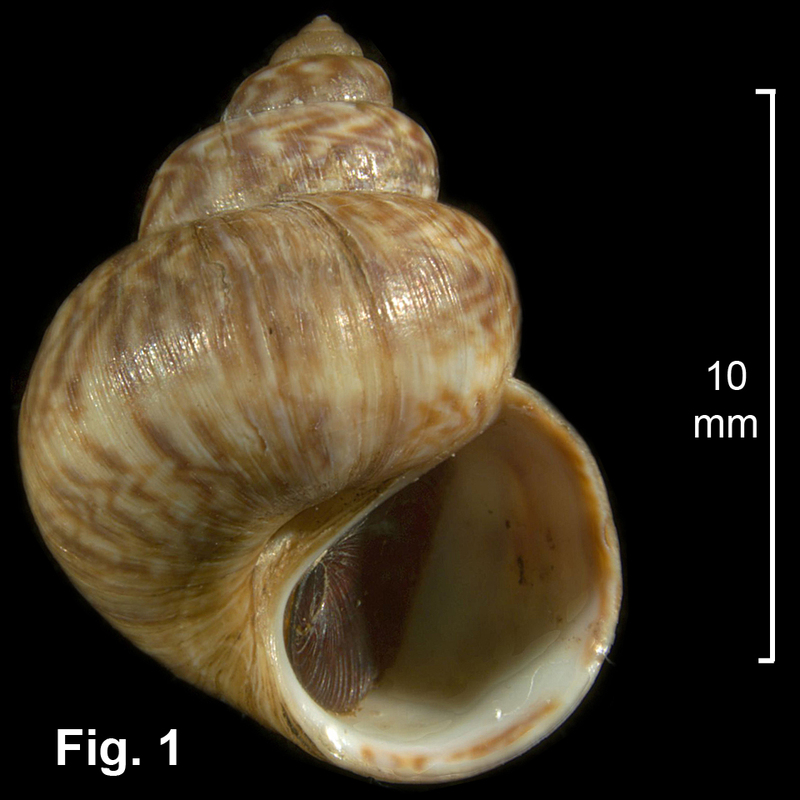 Shell covered with thin or thick brown periostracum, surface marked with zigzag axial lines arranged into spiral bands; surface usually eroded. Size: Up to 19 mm in height, 17 mm wide. Distribution: Endemic to Australia: northern Qld, southwards and around southern Australia, to SA, including northern Tas. Habitat: Lives in the upper littoral zone in mangroves, saltmarsh and mudflats. Often very abundant. Comparison: This is by far the largest and most common of the air-breathing molluscs living in the upper littoral in NSW. The presence of axial zigzag brown lines distinguishes the species in this habitat. Remarks: Throughout the 20th century two species of amphibolids were recognised in NSW, usually referred to as Salinata solida and Salinator fragilis, but never clearly differentiated. The work of Golding, Ponder & Byrne (2007) showed that there is only one large species in NSW, which they relocated to the genus Phallomedusa. The other one, S. fragilis, is a good species, but it does not occur in NSW, being restricted to southern Australia, from Port Phillip, Vic, westward to Perth, WA, and southern Tasmania. In addition to recognising P. solida, Golding et al. 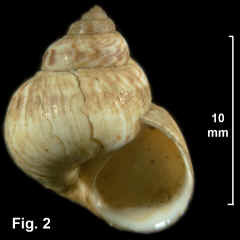 (2007) described two new small species, S. rhamphidia and S. tecta, which are detailed below. Phallomedusa solida was described in detail by Golding, Ponder & Byrne (2007). They found that it differed substantially from Salinator in organisation of the reproductive system, as well as in shell shape and colouration, radula dentition and operculum.